Anyway the comic is incredibly funny and makes good reading! It’s one of those that make you laugh all the way through! There is a new page every other week and even a movie is planned! Mary Cary, Frequently Martha by Kate Langley Bosher is a charming little book about a little orphan girl called Mary Cary, who calles her other – more outspoken- side Martha. Mary Cary lives in an Orphan Asylum and entrusts her thoughts and her adventures to her diary. My name is Mary Cary. I live in the Yorkburg Female Orphan Asylum. You may think nothing happens in an Orphan Asylum. It does. The orphans are sure enough children, and real much like the kind that have Mothers and Fathers; but though they don’t give parties or wear truly Paris clothes, things happen, and that’s why I am going to write this story. Everybody who wants to know who this wonderful book ends, can find the LibriVox recording of it here! This blogpost is dedicated to my own kind of summer sister and our NBO pact. Summer Sisters is one of Judy Blume‘s few adult novels. It describes how the lives of Victoria, called Vix and Caitlin intertwine. All starts when they are 12 years old and Caitlin, a popular, vivacious girl from a well to do family quite unexpectedly askes Vix (shy, intellectual girl fron a hard working poor family) to spend the summer with her at her father’s holiday home. This is the beginning of a long lasting very initmate friendship with many twists and turns…. a full summary can be found here. The book is one of those that grip you and not let you out of their clutches until you have turned the last page. It is funny and sad and everything inbetween… just a perfect mixute. I read it for the first time in my teens and was totally enchanted (and a little embaressed as there is quite a bit about sexuality in it). When I reread it now, I found that the charm worked on me still… It is such a beautiful book, though the end still leaves me puzzled. As much as I would love to believe that Caitlin still is out there somewhere, it seems highly unlikely! As luck had it, I was able to buy all four of them really cheap and at once started to read. 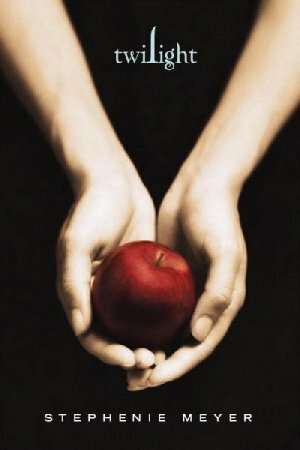 The first book called “Twilight” starts out quite nicely. Painting the scene of a small rainy town, which appears to be quite the perfect setting for vampires. The main character Bella Swan moves there to live with her father, as her mother is getting married and she doesn’t want to live with her and her new husband… Anyway Bella starts school and there is this strange guy and of course she falls in love. But he is distant and there is something dangerous but very fascinating about him…. Until then the book really is good. But that’s where the whining starts and it hardly lets off till the end. If you look at the book critically nothing happens until the very end, when Bella is nearly killed by another vampire and gets rescued by her heroic Edward (This part is great put it’s really short compared to all the whining and mooning after him)! That’s where the first book ends and the others start off. I won’t summarize each of them. I’ll only say that the story gets lots more interesting with the second and third book. It’s here that werewolves (bid surprise ;)) enter the scene! In spite of all my critcism I rather liked the books! The books make an interesting and easy reading (especially the last 3). Besides it really is a nice story, even if there is lots of whining (especially in the first book)! For everybody who is interested now, here is the full summary.